Surrender to the pleasures of unencumbered city living. Situated at the River and surrounded by Chicago’s iconic architecture, 403 North Wabash – known as Renelle on the River – is within walking distance to the best of downtown Chicago. Hidden in plain sight along the glorious Chicago River, the luxury condominiums at Renelle offer design that is as subtle as it is refined. A collection of 51 three- and four-bedroom luxury condominiums in Downtown Chicago, Renelle on the River offers gracious living with expansive views of the river and Chicago’s most treasured architecture. Search all of the current condos for sale now, or learn more about this prominent new addition to the Streeterville real estate market. Condos in Renelle on the River are fully optimized for luxury living. Located in River North across Kenzie St. from Trump Tower, the architectural eminence reflected on the outside of this remarkable building is similar to what you'll find inside. 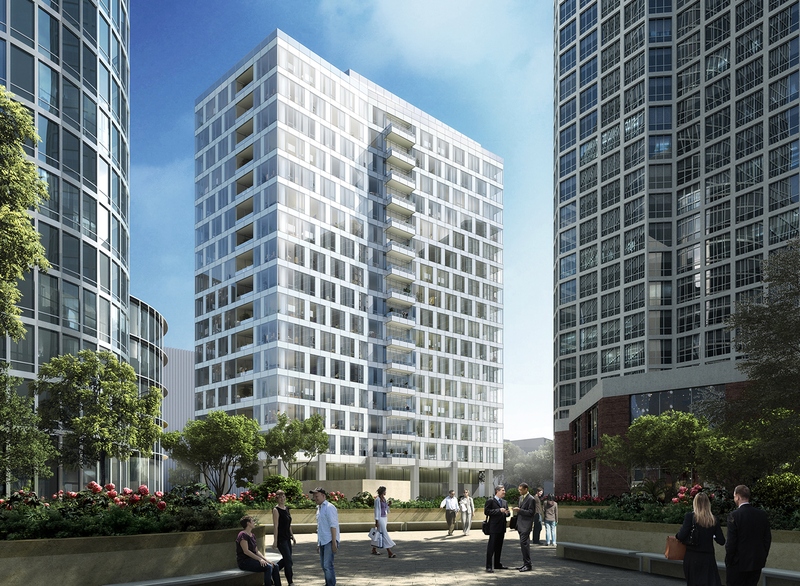 The glistening glass exterior and riverside location make the Renelle on the River one of the most sought-after developments in Chicago, especially for those in search of a spacious downtown residence with a generous floorplan. Developed by the locally owned and operated Belgravia Group, this development offers three and four bedroom residences starting at just $1.3 million dollars. Completion for the development could be as early as the fall of 2018 for the lower floors, and early 2019 for higher floors. Upon its completion, the Renelle on the River will bring 45 new, state-of-the-art condominium residences to Streeterville. This 18-story building is located in the heart of downtown Chicago in Streeterville, steps from the revitalized Chicago River Walk, dining and shopping of Magnificent Mile and culture of the Theater District. The building is surrounded by places to eat, shop, and explore. If you're looking for the best that living in downtown Chicago has to offer, look no further than the Renelle on the River!